"We loved our stay at Matanjak and will definitely be back!" Have a question for Matanjak Guesthouse and Surfshop? "Rooms are clean and spacious." "For dinner go to Mama's grill, 5 minutes walk." "I highly recommend it if you are looking for an affordable and quiet place to stay." 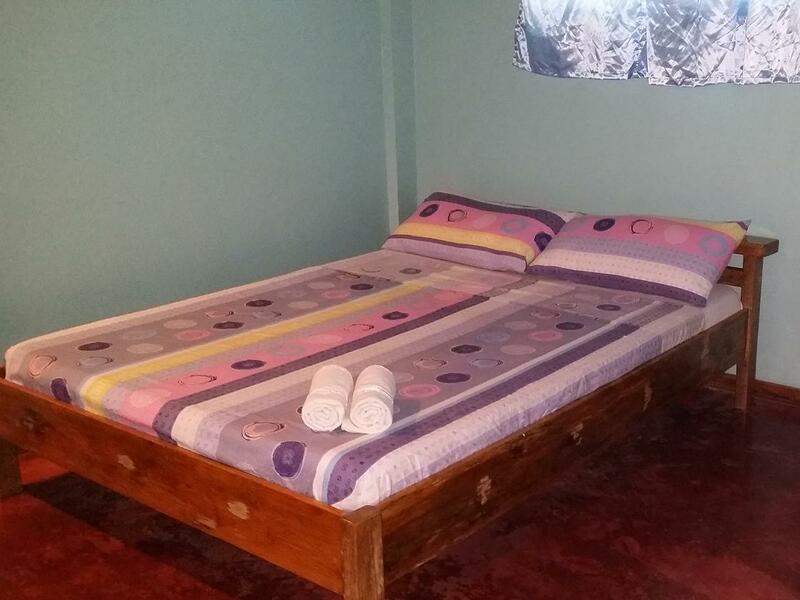 "Ate Ga, the resort's caretaker is very helpful and attentive..."
Ideal for fun and relaxation, Matanjak Guesthouse and Surfshop is located in the General Luna area of Siargao Islands. From here, guests can enjoy easy access to all that the lively city has to offer. With its convenient location, the hotel offers easy access to the city's must-see destinations. Matanjak Guesthouse and Surfshop also offers many facilities to enrich your stay in Siargao Islands. While lodging at this wonderful property, guests can enjoy Wi-Fi in public areas, airport transfer, BBQ facilities, tours, shops. Hotel accommodations have been carefully appointed to the highest degree of comfort and convenience. In some of the rooms, guests can find internet access – wireless (complimentary), non smoking rooms, air conditioning, toiletries, shower. The hotel offers an excellent variety of recreational facilities, including garden, water sports (non-motorized). Discover an engaging blend of professional service and a wide array of features at Matanjak Guesthouse and Surfshop. We loved our stay at Matanjak and will definitely be back! Thank you Bunsoy and everyone at Matanjak! It was perfect. A perfect place for relaxation, surfing on site: lessons and rental. Rooms are clean and spacious. For dinner go to Mama's grill, 5 minutes walk. We spent 10 nights in the Guesthouse Matanjak. The people are really nice. The room is simple but good matress. Really good private balcony with sofa and hamak. Matanjak is situated between Cloud 9 and General Luna. With a motorbike it's 5 minutes (to each), and walk around 25 minutes. It was the only bad point : you always have to tale your motobike. But anyway, we were happy to stay in this guesthouse. Мы остановились в этом месте всего на одну ночь так как место в котором мы жили основное время было занято. Место оказалось чистым и уютным. Есть кухня, холодильник и питьевая вода. По соседству есть несколько мест где можно очень вкусно поесть. Мы бы остановились в этом месте еще раз.